The fastest way to become FAA ADS-B Out compliant (Jan. 1st, 2020 deadline). 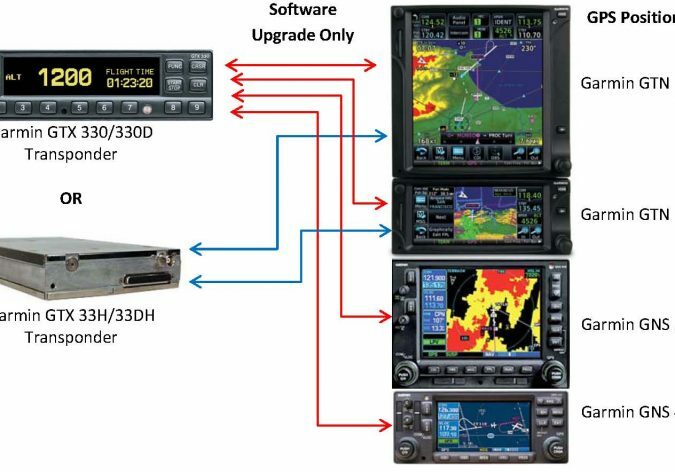 Perform a simple software upgrade to the existing Garmin GTX 33H/33DH or GTX330/330D Transponders if interfaced with an existing Garmin GNS (WAAS) or GTN series GPS. 4702 E. Fighter Aces Dr.